To tell you the truth, I avoided Parrot for years because all their drones were controlled by bluetooth from a smartphone... This was clearly not practical nor precise, and the range was pretty small. But you may not know that the core DNA of Parrot is bluetooth, especially car connectivity and they're quite good in this domain, and they work with major car manufacturers. Last December, I visited Parrot website because I was looking for a indoor drone and I discovered the Mambo which looked great. 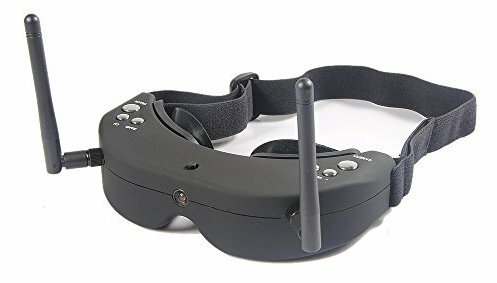 Still using bluetooth, BUT Parrot also created a great controller called "FlyPad". And it's Awesome, like PS4 paddle but heavier. The Parrot Mambo is an excellent quadcopter to start with to fly indoor because it offers a great stabilization, the size is perfect (not to big/small), works perfectly with the FlyPad, has software upgrades, some with pre-configured flips and rolls, 6 minutes flight time which is cool for drones in this size range. It also offers 2 lightweight accessories plugged with powered LEGO connector on the top of the drone, the "cannon" and the "grabber". I did not spent a lot of time using them but they may let you imagine some challenges with your friends. You will really have fun flying this drone. a configuration option to disable stabilization. Doing a front-flip using a button is cool, but we'd like to do it manually after some time. I opened a feature request on Parrot Forums (french) in case you want to support. But the good new, is that you can easily do it yourself! You're done. Enjoy immersion flights with your Parrot Mambo FPV! Note that this does not really affect the flight time, perhaps one minute. Since I wrote this article, I found the BoosterDrones Eye FPV Mambo which seems to be a good alternative. That said, the 3d printed part seems pretty cheap. UPDATE: in september 2017, parrot released a FPV version of his Mambo mini drone, available on its official website. If you work in IT, you probably want to generate UML diagrams. There are a lot of way to do that, but some may require proprietary softwares. I discovered yUML.me mid-2014 when I started to work with Neo4j. It's an amazing online tool, really easy to use for simple graphs. Scruffy is the library used behind yUML.me, and is available for download/fork on Github. Their website is really oldschool... yes. 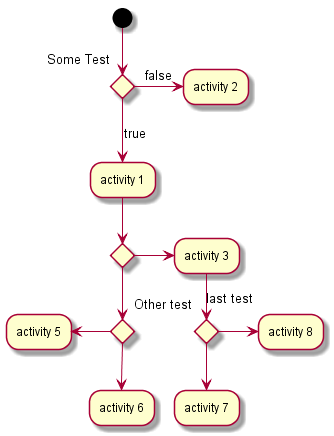 But this tool allows you to generate complex and real <uml> diagrams. I personally use SublimeText as text editor / IDE, and Jayson Vantuyl created a plugin to generate you diagrams directly from this IDE. The install guide available on Github is clear if you use SublimeText. Sorry, but I won't cover other IDE here, but PlantUML provides useful links. There are many kinds of diagrams that can be generated with PlanUML. * OK [CAPABILITY IMAP4rev1 UIDPLUS CHILDREN NAMESPACE THREAD=ORDEREDSUBJECT THREAD=REFERENCES SORT QUOTA IDLE ACL ACL2=UNION STARTTLS] Courier-IMAP ready. Copyright 1998-2011 Double Precision, Inc.  See COPYING for distribution information. As you can see, the authentication succeeded but a alert message appears. As you can also see, the error is "client side". Nothing appears on my server logs. I used libfam0 and fam daemon on an Ubuntu Trusty docker image. But the error moved from client side to server side. I read a lot of posts over the Internet and many problems have been resolved installing gamin. So I supposed that I had another problem. So, especially if you are a docker user, read the next part. The "problem" is that I did not have a unix user with uid 5000. Without a real user, the gam_server daemon won't start. I added a specific unix user with the appropriate uid and everything went OK, client and server side.